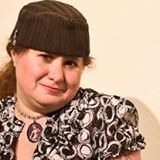 On Sunday, August 24th from 12-2pm, join Left Coast Writers® Live on FCCFREE RADIO’s popular show, Lilycat on Stuff. Lilycat’s guest on Sunday will be Sherry Brier. Sherry Brier is director of Inner Rhythm Movement Arts Institute in Marin County, California. She spends her days dancing, teaching, choreographing dances for her students and two dance companies, writing, and playing hooky with her husband and cat.